The calm, the ferociousness and the roaring white waters of a waterfalls in & around Dehradun makes you want to dive in and feel divine. Dehradun still has places that are a far cry from the humdrum of the city life, the honking horns and the rush hours the city is always brimming with. If you are one amongst those exploratory soul and want to spend time hopping up and down the trails of a magnificent waterfall, then we have a list of some absolutely thrilling waterfalls in and around Dehradun for you. Kempty Falls located at a distance of 14.5 km from Mussoorie Library Bus Stand and 48 km from Dehradun, is a sight that will captivate you at the very moment. It is located on the Mussoorie-Yamunotri Road and has always been a famous tourist attraction in Mussoorie. Kempty Falls was discovered by a British Officer John Mekinan as a tourist destination around 1835, where the British organised tea parties and camps. 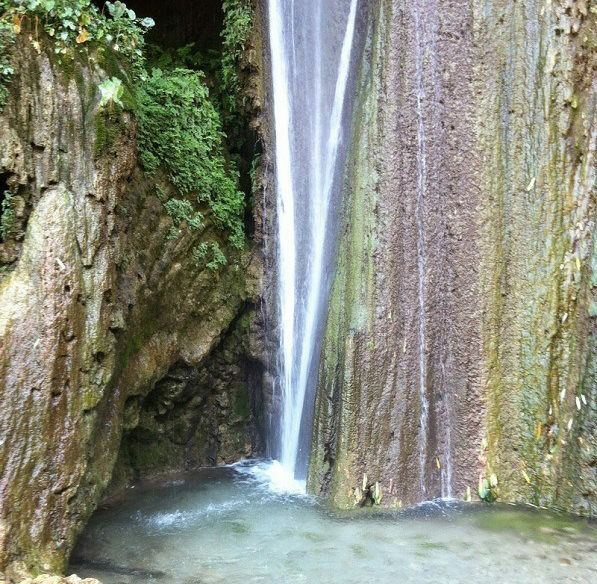 You can visit Kempty Falls when in Mussoorie, as it is a half an hour drive at a distance of 14 from Mussoorie to Kempty. Taxis and other transport facilities are available from Mussoorie to Kempty Falls. 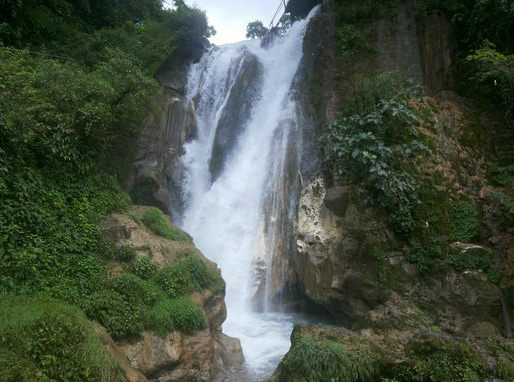 Bhatta Falls is located at a distance of 6 km from Mussoorie, a well known tourist destination that has been unexplored and therefore is loaded with an untarnished beauty giggling excitedly before your eyes. Falling down from a height of 30 ft into a naturally occurring pool, Bhatta Falls has a glorious view where you can capture nature at its best. Local Bus and taxi are available which can help you to reach at Bhatta Falls. Near by rail is at Dehradun Railway Station (27km) and airport is the Jolly Grant Airport (50km). 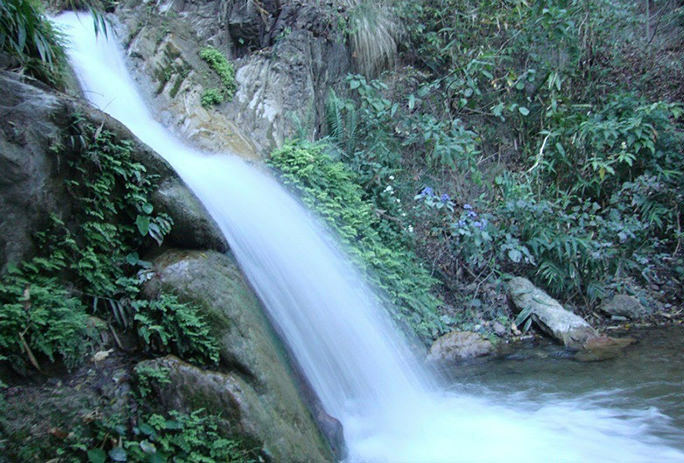 Shikhar Falls is an absolutely desirable and a very well known picnic spot in Dehradun. If you’re looking to trek in the midst of a waterfall while it pounds on the rocks then Shikhar Falls is where you need to head to. Here you will find a number of species of butterfly, with aquarium-blue water and the ravishing Doon valley to bewitch you. Shikhar Falls is located in the Kairwaan Village, Old Rajpur. It is at a distance of 13 km from Dehradun city and at a distance of 20.2 km from Dehradun Bus Stand. You can also take an auto-rickshaw from Mussoorie Diversion and reach at Shikhar Falls. 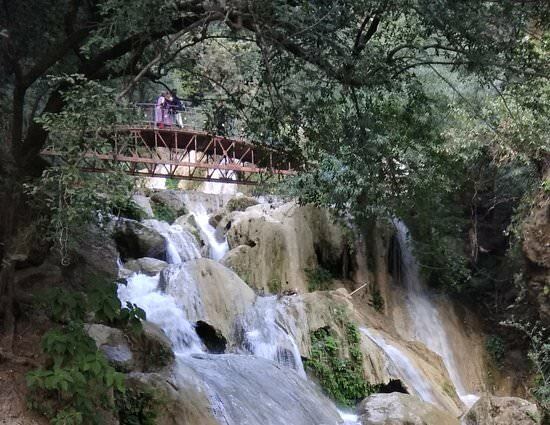 Perched at an elevation of 1395 mt above the sea level, Tiger Falls is one amongst the most magnanimous waterfall that is located around Dehradun. Tiger Fall is located near the cantonment town of Chakrata. If you want to trek then there is a trek route which will take you from Chakrata to the Tiger Falls, it is also known as Keraao Pachad and Kailu Pachad. A 50 mts waterfall where you can have a jolly time and have an enthralling time. You can visit Chakrata which is at a distance of 87 km from Dehradun and 80 km from Mussoorie, the Tiger Falls is at a distance of 19 km from Chakrata and you can reach there by hiring a taxi service. Mossy Fall is a horse tail fall which is situated in ‘The Queen of Hills-Mussoorie’. It got its name from the mossy growth surrounding the fall in vibrant shades of green. It is an ideal destination for picnic. The fall is basically located at Barlowganj in Mussoorie, you can get to Barlowganj while following a number of routes from Landour. The Mossy Fall is located at a distance of 30km from Dehradun, 5 km from Mussorie and 6 km ride from Landour. 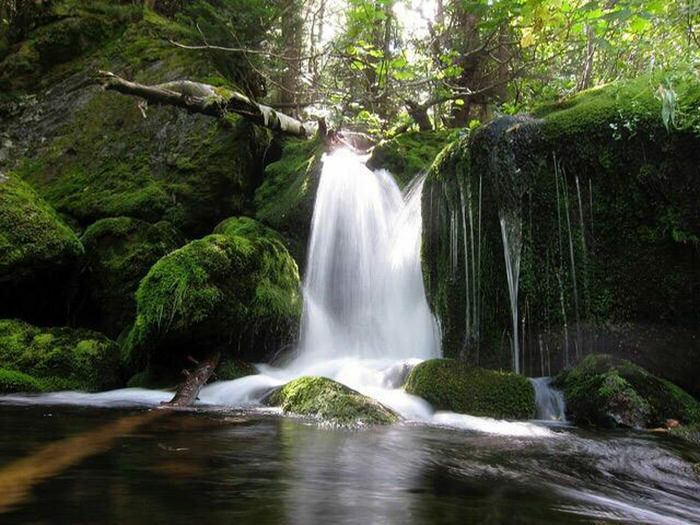 Taxi services can help you to reacvh at Mossy Falls. you can also see a gorgeous Shiva Temple at the fall, so get your daily dose of rejuvenation at the Mossy Falls in Dehradun. 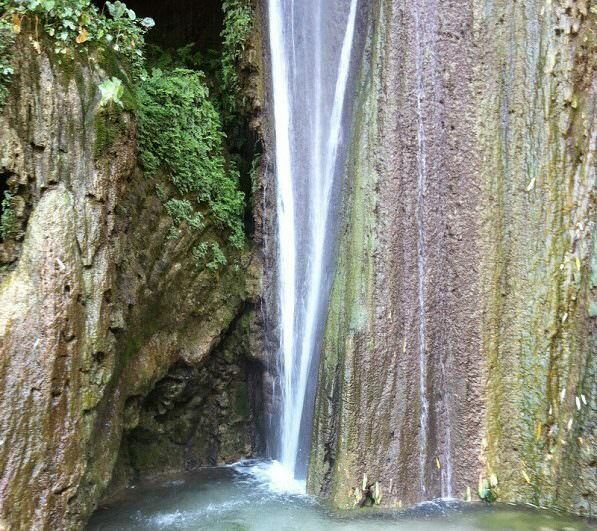 This majestic waterfall is located at a distance of 51 km from Dehradun and 9 kn from Rishikesh railway station. 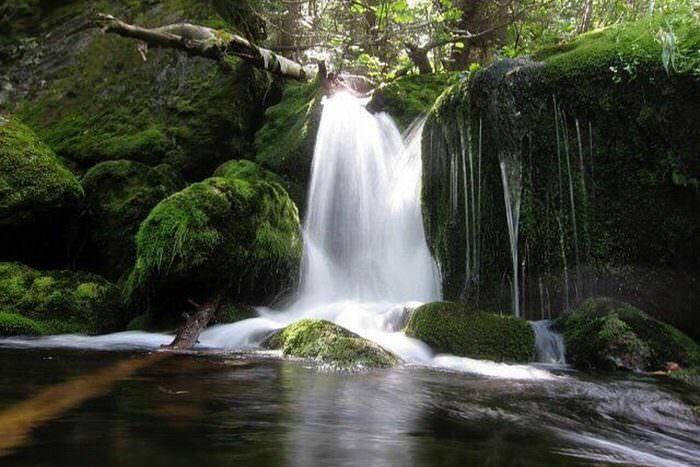 The picturesque waterfall is famous for a small treks, there are two water pool where you can take a dip. A two tier waterfall which, the first waterfall is followed after a 200 mt trek and the another one is followed by a trek of 1.2 km which is a bigger and better view. The Neer Gaddu waterfall is visible only after a trek and the Neer Garh waterfall starts from 3km away from the Lakshman Jhula on the Bdrinath Highway. You can reach to the waterfall by the taxi services that are available from Rishikesh. Located at a distance of 52 km from Dehradun, the Patna Waterfall in Rishikesh is a cascading waterfall that is named after a small village located near the waterfall. It is also famous for the limestone caves that are found near the waterfall. The waterfall is seen after a trek of 5km which starts from the Lakshman Jhula on the Neelkanth Temple Road. The waterfall tends to dry up during the summers and therefore pick another season to visit it. You will not find any sign boards that will help you locate the waterfall therefore be aware of the route while you go. Located at a distance of 53 km from Dehradun, 9 km from the Rishikesh Railway Station and 4 km from the Laxman Jhula, Garud Chatti Waterfall is located at the Neelkanth road near Rishikesh. It is a small yet beautiful waterfall which usually is at its best during the monsoon season when the water flows from seven different levels. The waterfall is visible after a trek which starts at 3 km away from the Laxman Jhula on the Neelkanth Mandir Road, it starts from a temple dedicated to Garud, visitors need to climb up a trail of 1.5km from here to see the waterfall. Phool Chatti Waterfall is another waterfall that is situated at Neelkanth Road, about 3km from Garud Chatti waterfall. You can reach at the waterfall by hiring a jeep for the Neelkanth Mahadev Temple where the Garud Chatti, Phool Chatti and the Patna waterfall are on the way.